It all depends on what you eat! With all that junk around you, seldom do you realize you are actually reducing the years of your life! Changing food patterns have led to a drastic increase in number of heart ailments not only in adults but in youngsters as well. According to Centers for Disease Control and Prevention, in the United States, every 34 seconds someone has a heart attack. Someone in the United States dies from a heart disease, every 60 seconds. In 2011 alone, nearly 787,000 people in the United States died of different heart diseases. Scholars point that changing patterns in diet is one of the most important reasons behind increased heart diseases. Pizzas, burgers and fries have become a part of everyday routine leading to formation of more and more bad cholesterol in body posing greater threats to heart. Nevertheless, here is the solution. You can now go on to consume the food of your choice! All you have to do is incorporate these superfoods in your diet. Blueberries have gained a great reputation as a superfood for heart. Blueberries are packed with anthocyanin, an antioxidant that effectively promotes overall health of the vascular system by hunting down free radicals and repairing damaged proteins in blood vessel walls. Besides, these are rich in flavonoids and resveratrol, antioxidants that help in improving lipid peroxidation, LDL oxidation, dyslipidemia, total plasma antioxidant capacity and glucose metabolism. Also, they are a rich source of vitamin C, vitamin E and both soluble and insoluble fiber like pectin. Berries also are beneficial for heart as they help in dilation of blood vessels and regulation of blood pressure in the body. Consuming a handful of berries as a part of regular diet is very helpful in reducing the risk of various heart ailments. A 2010 study published in the Current Atherosclerosis Reports journal asserted that berries are plant food rich in bioactive phytochemicals, particularly flavonoids, for which there is increasing evidence of benefits on cardiometabolic risk that are linked to their potent antioxidant power. Another 2013 study published in the Circulation journals revealed that higher consumption of anthocyanins is associated with reduced risk of myocardial infarction (heart attack). Rich in Omega-3 fatty acids, this ocean going fish is extremely effective in maintaining and reducing the blood pressure in body. Omega-3 found in salmon has anti-clotting property that keeps clotting of the heart at bay and maintains regular flow of blood. Also, salmon is packed with astaxanthin, a powerful carotenoid and antioxidant that helps in reducing the amount of oxidized LDL cholesterol in body. A 2013 study published in the Mediators of Inflammation journal observed that dietary intake of carotenoids and their antioxidant had several anti-inflammatory effects in reducing the risk of various cardiovascular disorders. Intake of salmon is also decreases the risk of various cardiovascular problems including heart attacks, high blood pressure, atherosclerosis, strokes, arrhythmia and high triglycerides in the blood. It also improves metabolic markers for cardiovascular diseases. Incase, you happen to dislike salmon, you could pick from tuna, herring, mackerel and sardines as they will be equally effective. Aim for at least two servings each week (one serving is 3.5 ounces). Note: Make sure you chose wild salmon over farm raised salmon because the latter might be laden with insecticides, pesticides and other heavy metals. Kick start your day by eating a bowl of freshly cooked oatmeal. Oatmeal contains beta-gluten, a water soluble dietary fiber that helps in eliminating bad cholesterol from the digestive tract. Acting as a sponge in the digestive passage, it attracts water and turns it into gel during the digestive process. Further, it soaks up the eliminated cholesterol that the body refuses to absorb. This helps in keeping the arteries clear from any kind of clotting, thus reducing the risk of stroke and attacks. A 2008 study published in the Nutrition, Metabolism and Cardiovascular Diseases journal observed that there is a consistent, inverse association between dietary whole grains and incident cardiovascular disease. Not only this, oats contain avenanthramides, a unique antioxidant that helps in reducing the risk of cardiovascular disease by preventing free radicals from oxidizing LDL cholesterol. A 2009 study published in the Nutrition Reviews journal claimed that oats not only contain beta-glucan, but more than 20 unique polyphenols, avenanthramides, which exhibit anti-inflammatory, antiproliferative, and anti-itching activity, that help in providing protection against coronary heart disease. Additionally, oatmeal is also rich in omega 3 fatty acids, potassium, magnesium, calcium and niacin and low in glycemic index, which keeps you full for long, thus keeping hunger at bay. This in turn helps in maintenance of body weight. 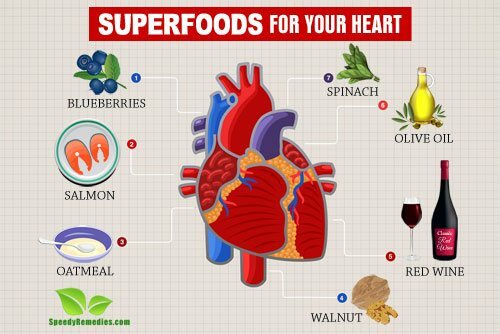 When talking of superfoods for heart, walnuts cannot be given a miss! A 2002 study in The Journal of Nutrition provided evidence for an inverse relation between daily consumption of walnuts and relative risk of coronary heart disease. The study reviewed 200 subjects on five controlled, peer-reviewed, clinical walnut intervention trials and observed walnut as part of a healthy diet regime that lowers blood cholesterol levels. Walnuts are rich in omega-3 fatty acids and polyunsaturated fat (n-6 and n-3), which are helpful in reducing the risk of several chronic heart diseases. Also, it is flooded with vitamin E, fiber, folate, tannins, arginine, magnesium and polyphenols that together promote a healthy heart. These compounds help in lowering triglycerides, reducing blood pressure and preventing clotting of blood. 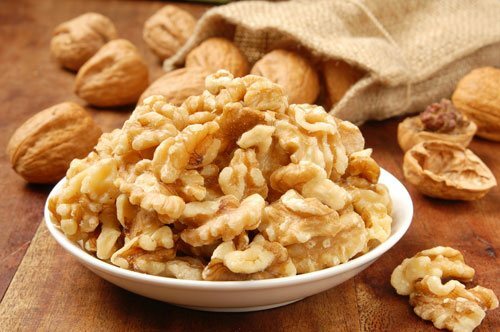 A 2004 study published in the Circulation journal observed that substituting walnuts for monounsaturated fats helped in improving endothelium-dependent vasodilation in hypercholesterolemic pateients. Consumption of a handful of walnuts reduces the risk of artery inflammation and lower cholesterol levels. However, you must keep in mind that nuts are dense in calories and therefore must be consumed in moderation. A perfect solution to all your heart problems, red wine daily helps in improving the level of good cholesterol (HDL) in body, thereby maintaining the regular functioning of heart. Help in reducing obesity, a major cause for different cardiovascular diseases. Helps in providing protection against damage to the sensitive lining of arteries in atherosclerosis. Helps in reducing the risk of strokes or heart attacks by counteracting clotting of blood. A 2004 study published in the Cardiovascular Research journal observed that presence of polyphenol compounds such as anthocyanosides (ACs), catechins, proanthocyanidins (PAs), stilbenes and other phenolics in red wine helped in lowering the risk of developing coronary heart disease. Another 2009 study published in the Journal of Cardiovascular Pharmacology claims that a mild to moderate drinking of red wine, attenuates the cardiovascular, cerebrovascular, and peripheral vascular risk. Not only this, the study also revealed that wine induces longevity genes and thus increases your life span. So, now raise your glass to red wine and drink to your desire! Serving: Do not drink more than 14 units of alcohol a week and spread this over 3 days to have alcohol-free days. One drink a day in women and 1-2 drinks in men is just enough. Note: People taking aspirin or under any other medication are advised to consult doctor before consumption. Owing to its richness in omega-3 fatty acids, protein, vitamins and minerals, soy meal has earned the accolade of being one of the healthiest foods in the world. A 2000 study published in the Circulation journal provided evidence that consumption of soy protein helped to lower blood cholesterol levels and provided other cardiovascular benefits. Another 2008 study published in The Journal of Nutrition substantiates the statement that ingestion of soy proteins helped in reducing the risk factors for cardiovascular disease. Both the FDA and the American Heart Association recommend eating at least 1 oz (28 grams) of soy protein daily. You can enrich your body with soy protein from soybeans, soy milk, soy nuts, soy flour, fortified cereal, energy bars, tempeh and tofu. If you wish to survive a heart attack, pick spinach for your diet! Low in fat content, this green, leafy vegetable is a storehouse of vitamins, minerals, fiber and antioxidants that helping in reducing the risk of various cardiovascular diseases. Packed with pigments like lutein, beta carotene, xanthenes and chlorophyllin, spinach helps in reducing cholesterol and other fat deposits from the blood vessels. Further, the presence of neoxanthin and violaxanthin (antioxidants) makes spinach an ideal food choice for lowering body-wide inflammatory responses. Not only this, spinach contains nitric acid that helps to improve circulation, blood pressure and overall health of the blood vessels. It also helps in preventing and healing blood-vessel related issues like atherosclerosis and in lowering homocysteine serum levels in the blood. The protective compounds found in spinach help in keeping the arteries clear of dangerous plague build up which further helps to fight high blood pressure, increase blood flow and maintain healthy blood vessels. The fiber content in spinach slows down the absorption of glucose into the blood stream, thus reducing high cholesterol levels and lowering the risk of heart attack and stroke. A 2012 study published in the Free Radical Biology and Medical journal observed that nitrate rich spinach augments the status of nitric oxide in the body, which helps in improving endothelial functions and lowering blood pressure, thus improving cardiovascular health. One of the best plant based source of omega 3 fatty acid, flaxseeds are extremely good for your heart health. Omega-3 fatty acids help in reducing atherosclerotic plaque build-up by preventing hardening of the arteries. This helps in reducing the risk of stroke, attack and other cardiovascular disease. 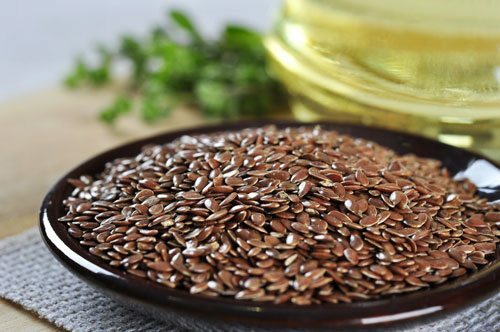 Further, flaxseed is one of the richest source of alpha-linolenic acid (ALA) and phytoestrogen, lignans and soluble fiber, which help in reducing total levels of serum and low-density lipoprotein in the body. A 2004 study published in the Nutrition Reviews journal substantiates the statement that flaxseeds are greatly helpful in reducing the risks of various cardiovascular disease. The study further observed that flaxseed helped in lowering postprandial glucose absorption, decreasing inflammation markers and raising omega-3 serum levels in the body. Another 2010 study published in The Canadian Journal of Cardiology claimed that flaxseed were extremely effective in reducing cardiovascular disorders in the body. Moreover, flaxseeds exhibit cholesterol lowering effects and even help in dealing with arrhythmia (irregular heartbeats) by normalizing the heartbeat. For best results, it is best to grind the seeds before adding them to your food. Dark chocolate and cocoa is very effective in reducing the risk of severe coronary diseases. Consumption of dark chocolate that is 70 percent cocoa, helps in restoring the flexibility of arteries, thus lowering the risk of atherosclerosis, hardening and thickening of the arteries. Also, it helps in preventing sticking of white blood cells to the blood vessel walls, thus avoiding clotting. Further, cocoa contains flavonoids that help to lower blood pressure, improve blood circulation and reduce free radical damage in the body. These flavanols also help in improving the blood flow, reducing blood pressure and suppressing the tendency of platelets to merge together and form clots. Not only this, the flavanols help in stimulating the endothelium (lining of arteries) for the production of nitric oxide. Nitric oxide helps in lowering resistance to blood flow and regulating blood pressure by sending signals to the arteries to relax. Further, cocoa helps in lowering LDL levels and increasing HDL levels in the blood, thus improving the overall health of heart. A 2008 study published in the British Journal of Nutrition revealed that cocoa improves antioxidant status and inflammation in the body that is associated with reduced heart disease risk. Another 2010 study published in the Journal of Cardiovascular Pharmacology observed that higher consumption of chocolate is linked to lower risk of cardiovascular disease. Further, a 2015 study published in the Heart journal suggests that higher chocolate intake is associated with lower risk of cardiovascular disorders. Extracted from first press of olives, extra virgin olive oil is rich in polyphenols, an antioxidant healthy for the heart. Also, this is rich in monounsaturated fats and contains high levels of good cholesterol. A 2006 study published in the Annals of Internal Medicine journal observed that the phenolic content in olive oil helps in managing plasma lipid levels and oxidative damage. The study observed a linear increase in high-density lipoprotein and decrease in total cholesterol level, triglycerides and oxidative stress over 200 participants who were administered with 3 sequences (low, medium and high phonelic content) of 25 ml olive oil. Additionally, it helps in lowering levels of bad cholesterol, thereby protecting the blood vessels and reducing the risk of heart diseases. Highly recommended for cooking, this can be used as a dressing on salads, bread and veggies. Olive oil is also helpful in preventing blood clotting and platelet aggregation. Olive-oil-rich diets are capable of accentuating the effects of fatty foods, thereby contributing to lower incidences of heart failure. Free Radical Biology and Medical: Flavonoid-rich apples and nitrate-rich spinach augment nitric oxide status and improve endothelial function in healthy men and women: a randomized controlled trial.